Williams head of vehicle performance Rob Smedley says he isn’t concerned his team will be outgunned in the spending war between Ferrari and Mercedes. The Williams Formula One team was the closest competitor to the rampant Mercedes for much of the 2014 season, which allowed it to develop its car at its own pace. However, to the surprise of many, the 2015 Ferrari has been quick out of the box and has immediately mixed in with the very front of the grid despite a disappointing 2014, meaning the independent Williams team will have two big-spending rivals to compete with this year. Added to the mix is Red Bull Racing, which is unlikely to be confined to the midfield for long thanks to its supply of energy drink dollars flowing from Austria. Smedley, talking after the race, in which Felipe Massa started third and finished fourth — behind Sebastian Vettel’s Ferrari — said he isn’t concerned about the prospect of being outspent. “I think that was my first ever question in Bahrain last year when I joined the team,” he said. “’You’re doing all right but you’re going to all behind’ — but I think that we proved that if we look at the lap times over the season, it tells a story about how quickly we developed the car. Smedley credits the changes enacted inside Williams at the end of the 2013 season for reinvigorating the then ailing historic team. “What I see is a huge change in mentality at Williams over the last 12 months,” he explained. “We’ve got the team that now beliefs it can outdevelop any other team. “I think that the wind tunnel is doing a really fantastic job with the amount of performance it’s bringing to the car. The guys at the mechanical design office have done an immense job, and once again we have a really safe, reliable, and very well balanced car. “We just have to keep pushing on. As a team we have nigh on 600 people, and we just have to crack on with it and developing the car. As for the opening race itself, the Australian Grand Prix evidence of Williams’ newfound rival, with Ferrari proving more than a match for last year’s runner-up. “It was that close that you had to get into the race to see how it was,” said Smedley after the Australian Grand Prix. “I think when we were on the same tyres [Ferrari] were a little bit quicker than us, so we have some work to doing that area, definitely. 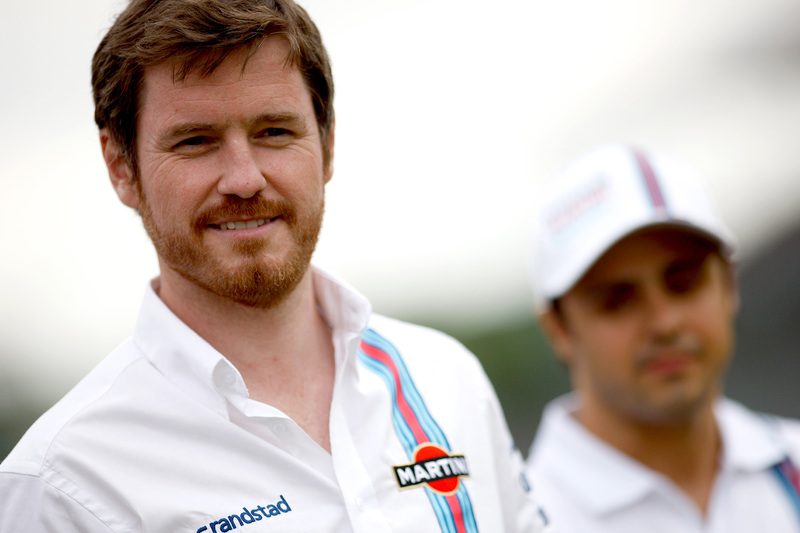 Smedley also pointed to a number of small errors that cost Williams a shot at the podium. “Tactically, when we looked at it coming up to the first stop, it was clear that Sebastian had a little bit in hand,” he said. “The only option for us was to pit first and to try to keep him behind. “It wasn’t too far away from working, but the unfortunate thing was that he probably had more pace than we thought: he found eight tenths over two laps compared to when he was sat behind Felipe. In addition Felipe lost 1.5 seconds trying to pass Ricciardo into turn 13.